Evening Sirens! Sorry it's been so long since my last post!! I recently moved and have been having a hard time finding good lighting in the new apartment. But I think I finally found a decent spot to take my blog photos. 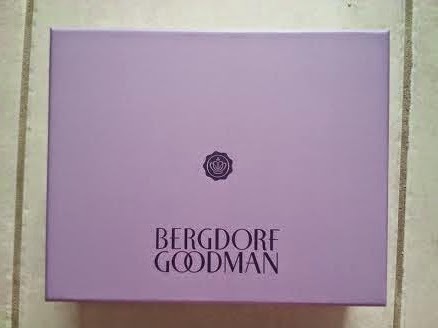 Tonight I am so excited to share with you my May box because Glossybox partnered with Bergdorf Goodman! Last month we got a purple custom-designed box!! 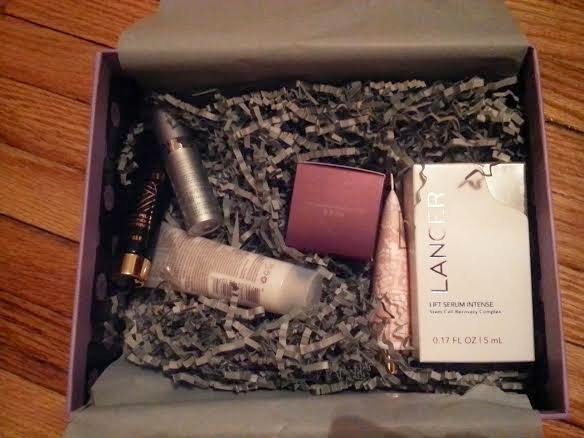 First peak inside the Bergdorf Goodman box! 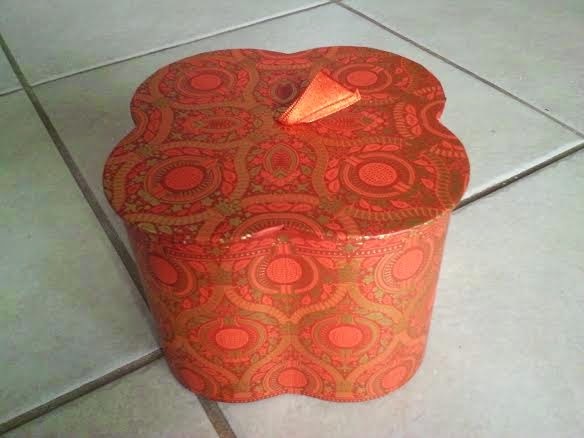 Lots of luxurious goodies inside!! Deluxe Size (0.5 fl oz)-$4.76 Value! 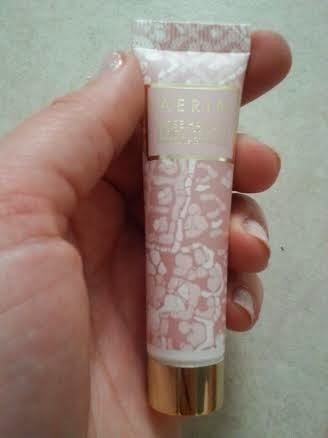 I just love rose scented products, so I was ecstatic to get this in my box! 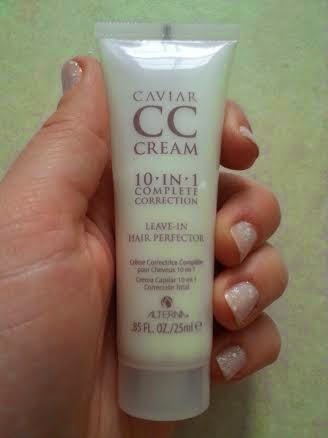 I really like that this cream can be used on the body in addition to the hands. 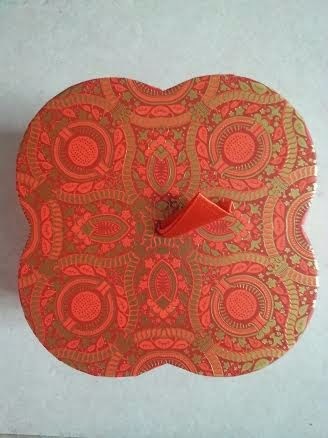 Plus, the packaging is really lovely. 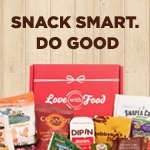 This was one of my favorite products in the box and I am now interested in trying other items from this line. 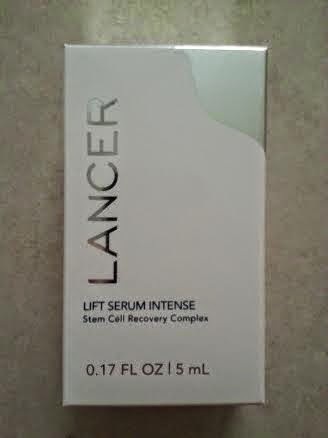 Size (0.85 fl oz)-$8.50 Value! I am a huge Alterna fan, but since I already have two of these I wasn't too excited to get this in my box. 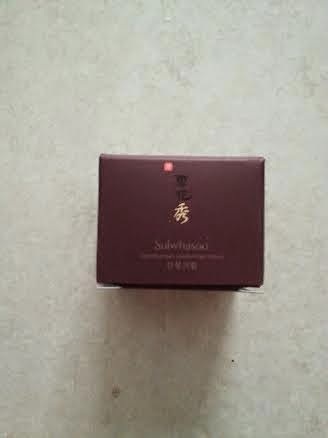 But this hair cream is an excellent product, so I'm happy to have an extra. Deluxe Size (0.17 fl oz)-$55.00 Value! It's ridiculous how expensive this product is-the full size costs $275.00! I feel that this product is overpriced-I would never spend that kind of money on a product like this when there are so many great products on the market that give you more for less. Deluxe Size (0.5 fl oz)-$13.24 Value! I can not express enough how much I love this primer! This was my absolute favorite item from the box. I am just so blown away with the texture of this product. I can't get over how light weight it is and how easily it glides on the skin. I've never had a foundation primer feel like this before! 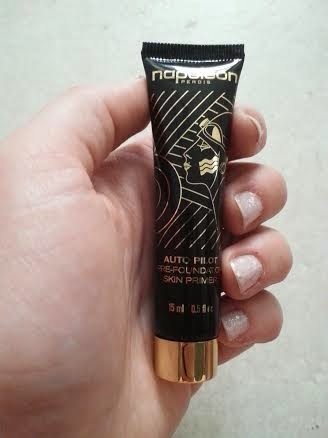 I highly recommend this primer-it's worth every penny!! Deluxe Size (0.16 fl oz)-$32.00 Value! This is such a waste of money because of the jar packaging. Please don't spend $400 on the full size of this product! It makes me sick that products like this are being sold when there are much better alternatives on the market for way less. 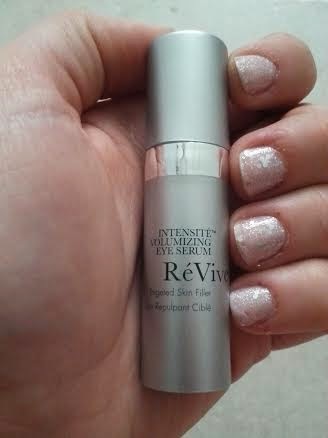 Deluxe Size (0.1 fl oz)- $70.00 Value! 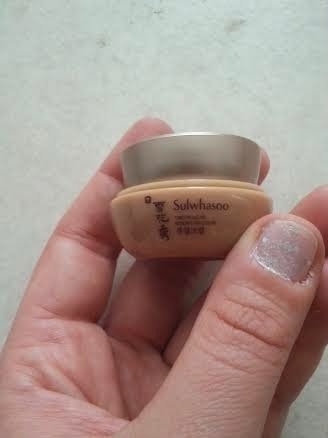 It's outrageous how expensive this eye cream is-the full size goes for $350.00! There's no reason why an eye cream should cost that much especially considering the amount of product you get! 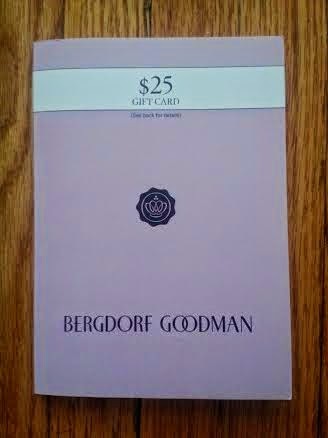 Bonus: $25.00 Gift Card to Bergdorf Goodman!! This was a nice bonus seeing as we already got an extra item! I loved having the option to try another beauty product of my choice using this gift card! I wanted to share with you what I purchased using my gift card since my order just arrived in the mail today! I decided upon these bath salts because I couldn't resist the gorgeous packaging. 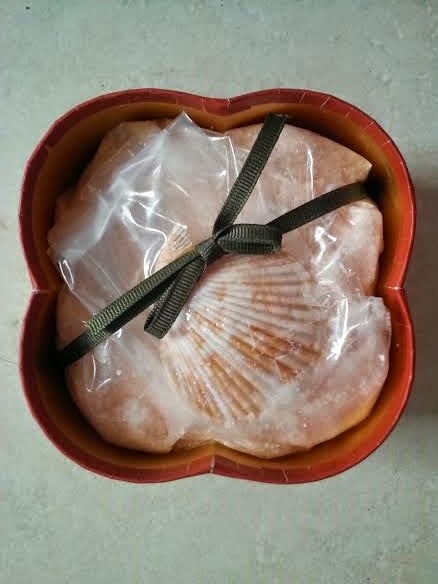 I will keep the box and sea scallop long after I've used all the salts. I am in love with the scent-the bitter orange smells amazing. I definitely plan on purchasing the other scents! While I wasn't thrilled with everything I received, I still thought this was a great box. 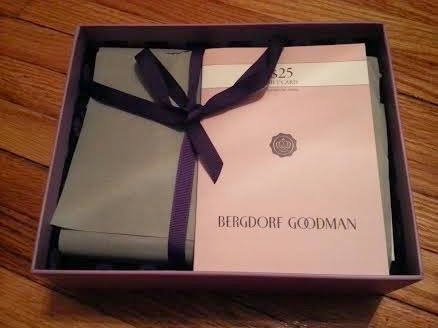 I loved that we got an extra item and a $25 gift certificate to Bergdorf Goodman! 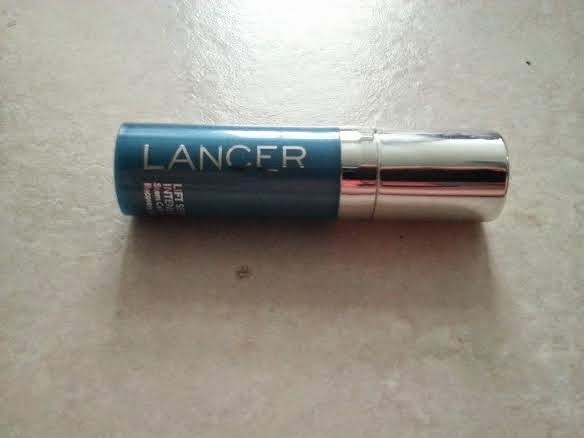 I also got to try out some high end beauty products that I would never have purchased for myself. While I won't be buying any overpriced skincare products, I found a plethora of other beauty items that will get me to continue shopping at Bergdorf Goodman. If you would like to subscribe to Glossybox, email me at AquaticAllure@gmail.com and I will be happy to send you an invite!